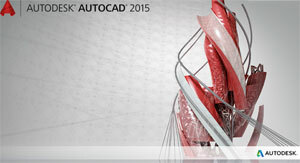 Experience the evolution of design with AutoCAD® 2015 software. An updated modern interface improves the design process, and productivity enhancements speed your workflow. Quickly open new and existing drawings with New Tab, visually access drawing content with Ribbon Galleries, and easily find tool locations with new Help Window functionality.